More and more people are opting to become an NLP practitioner and linking this with their work. There are many reasons why people are opting to do this, mainly because they see NLP as offering significant benefits. But why? 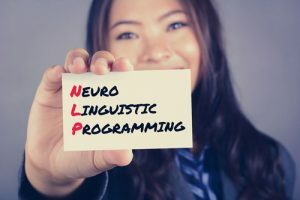 And what is NLP? Neuro-Linguistic Programming commonly known as NLP has been around for some time now. It is a set of rules and techniques that people believe modify their behaviour so that they can self-improve, self-manage better and also increase their effective interpersonal and communication skills. The basic underlying principle to NLP is this – to achieve any kind of success, you need to create not only a goal to aim for but also envisage this goal and what it means to you. You need to understand how to modify your behaviour so that you can reach these goals. In order for this new behaviour and modelling to become ingrained, you need to programme the part of your brain – hence the term neuro – so that you respond in this ‘new’ way. Many people do this by assigning a behaviour pattern a symbol. When you need to, you envision this symbol so that you can follow a different behaviour pattern, thus getting the results you want and need. As an NLP practitioner, you will become accustomed to using this process to change and determine your own behaviour patterns in a certain situation but there is no limit as to where and when you can use NLP – and your work setting is the perfect place to use this process to change the way you think, act and communicate in order that you get different and better results. There are several benefits to modifying your mental processes when it comes to decision making and so on, especially in the workplace. There is a saying ‘keep doing the same thing and you will get the same results’. However, knowing how to and when to make changes to our behaviour can places us in a quandary. Gives you the edge – by modifying behaviour, you will have an improved outlook and this will reflect in your work. The upshot of this is that in some cases, there will be a direct positive impact on profit and productivity. Achieve goals – want a promotion but don’t think you are good enough? It is this last thought that is stopping you from going on and achieving what you have set out to do. By changing these internal thoughts, you can achieve your goals and dreams. Overcome hurdles – there are all kinds of hurdles that stand in our way, real and imaginary. Negotiating these hurdles can leave us feeling dejected and pressured. But, by changing your thought processes, you will no longer see these hurdles as damaging but factors that spur you on to better and bigger things. Make better decisions – are you indecisive? Many people feel unable to make decisions simply because they spend so much time worrying about whether it is the right thing to do, or whether they will go on to regret it. NLP gives you the freedom to be able to think through your decision-making processes clearly, giving you all the options you need to make the decision that you know is the best one for you, at that time. For many people in the work environment, one of the many issues that they face relates to managing people or being part of a team. It is common for people to become locked in a particular mind set breaking out of these patterns of behaviour can be tough. Many people look to a Neuro-Linguistic Programming Diploma as the way in which to gain some of these valuable skills and insights. Those that have completed this course have never looked back, simply because they are driving themselves forward to reach goals they never dreamed of reaching.